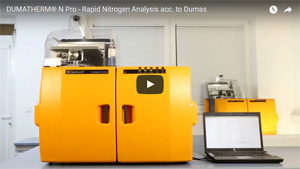 The QuasIR™ 4000 was designed from the ground up to offer the industry a new kind of NIR analysis solution – a solution that brings together the portability required to move NIR analysis closer to point-of-need, combined with unmatched spectroscopic performance for the fastest and most accurate results. The QuasIR™ 4000 was engineered to ensure direct calibration transfer without the frustration of standardizing instruments or adjusting models to accommodate excessive instrument variability. The heart of the QuasIR™ 4000 is our PermAlign™ optics technology, an innovative optical design that maintains alignment and performance under conditions from the routine to the extreme. Our technology and design ensure unmatched consistency and direct methods transfer with no loss in performance so you can expand your QuasIR™ fleet with confidence. Additionally the QuasIR™ 4000 includes a transmission chamber that holds a cuvette or vial. Optional temperature control is available to enable a wide range of applications. Transmission samples such as edible oils, lubricants, and fuels can be easily analyzed for quality control or adulteration. - Compact, portable, and high performance FT-NIR spectrometer with large sample area integrating sphere for lab and field applications. - PermAlign™ optics: an innovative optical design that maintains alignment and performance under extreme conditions. - Unmatched instrument-to-instrument consistency and direct method transfer so you can expand your QuasIR™ fleet with confidence. - Automatic Performance Testing Unit provides an easy and automated way to monitor your instruments performance. - Spectral Sage™ software suite combines the ease-of-use needed for every day analysis with feature-rich functions for advanced method developers.